More young Singaporeans are sporting the brightly colored “unicorn hair”. With her long, lustrous hair coated in bright pastel pink, Ms Charissa Yong hardly goes unnoticed in the crowd. Not only is she a fan of “unicorn hair”, the 26-year-old has also started a salon, Night Shade, to help others with the outlandish dye-job. 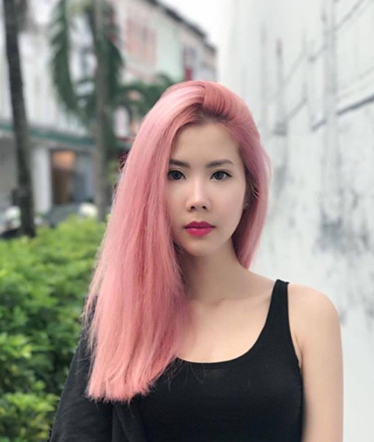 “Colored hair trends have been rising due to social media,” Ms Yong said, adding that most of her customers are heavy social media users between 17 and 25 years old. Many of them are tertiary students who’re eager to experiment with hair colors, as the restrictions in secondary schools no longer apply to them. Cheyenne Lim is one of them. 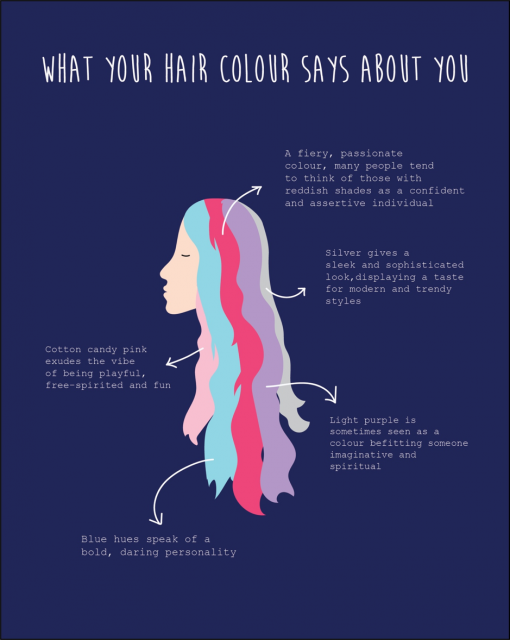 “I’ve always wanted to have colorful hair because of people with pink hair that I’ve seen online. 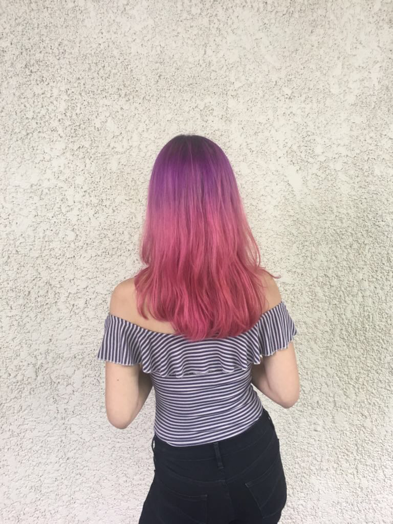 And it’s also because I had the chance to [color my hair] after leaving secondary school,” said the 18-year-old student, who’s tried a myriad of hair colors from bright purple to pink ombre to half-and-half purple and green. Another student who’s just started to experiment with bold hair colors is 18-year-old Chloe Law. “It looked nice on other people so I was hoping I’d look nice with colored hair too,” said Chloe, adding that she would love to try either two-toned hair or a dark red color next. 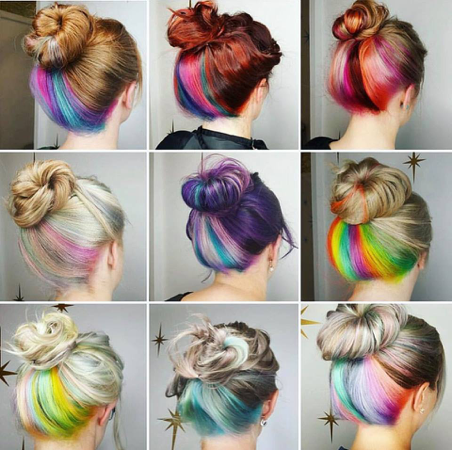 While the eye-catching unicorn hair is great for cameras, achieving the look comes with some risks and maintaining it can be very laborious. According to Ms Yong, the lighter the desired hair color, the more bleach is required, which can result in more damaged hair. She also added that DIY dye-jobs “usually does not end well”. Both Cheyenne and Chloe said they were initially worried about their hair condition, but after seeing the final result, they’re happy that they took the risk. Both like their new look, and do not mind spending more time on their hair care rituals. Cheyenne said she even had to re-dye her hair fairly often to maintain the colors, but she enjoyed having the flexibility to try out different shades of hair dye over time. For now, silver-grey, pink and purple are the most sought-after colors, according to Ms Yong. But she expects the trend to evolve quickly.